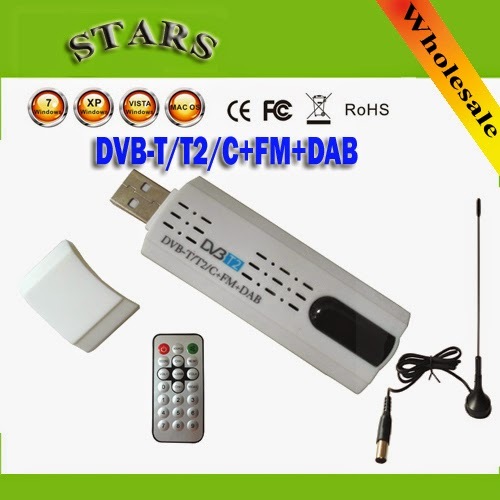 Recently I ordered a new USB Tv-tuner via Aliexpress. As expected it arrived without extra packaging and drivers, but complete with a tiny antenna. After some googing with the USB VID:PID ( Bus 001 Device 016: ID 15f4:0131 HanfTek ) I found some notes about support in Kernel 3.13. So I upgraded an Eeepc I had sitting around to this kernel and the TV-Tuner card showed up. Next phase of the adventure was to share this new found tuner to the rest of the house via TV-Headend. Getting TV-Head end installed via the debian repository was a breeze, just add it to apt-sources after importing the signature. 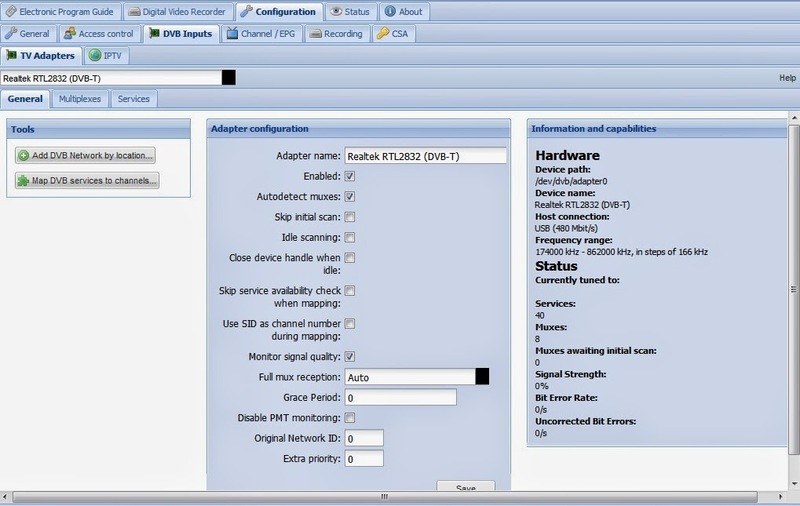 Adding channels is fairly easy as well, go to the TV Adapters page, select the adapter and Add DVB Network by location, in my case this was au_Adelaide. 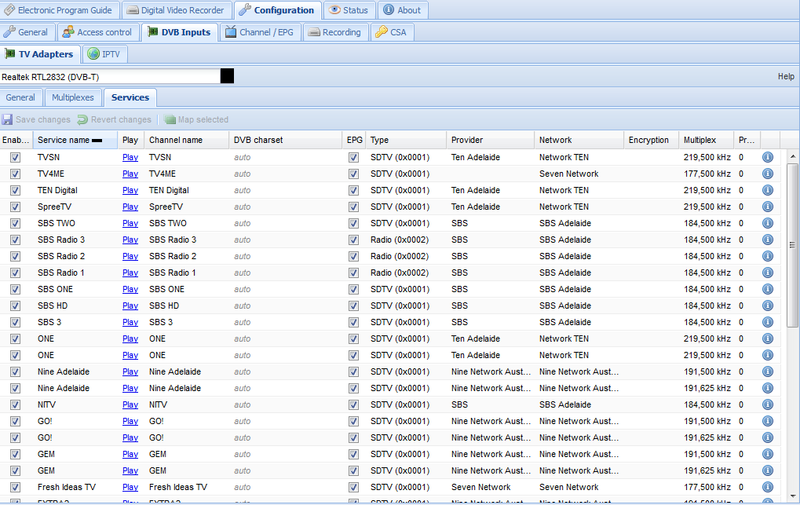 All channels added successfully except SBS Adelaide, which seems to have changed frequencies recently. So I dug up the new frequency - 184.5MHz and decided to add the Mux by hand. 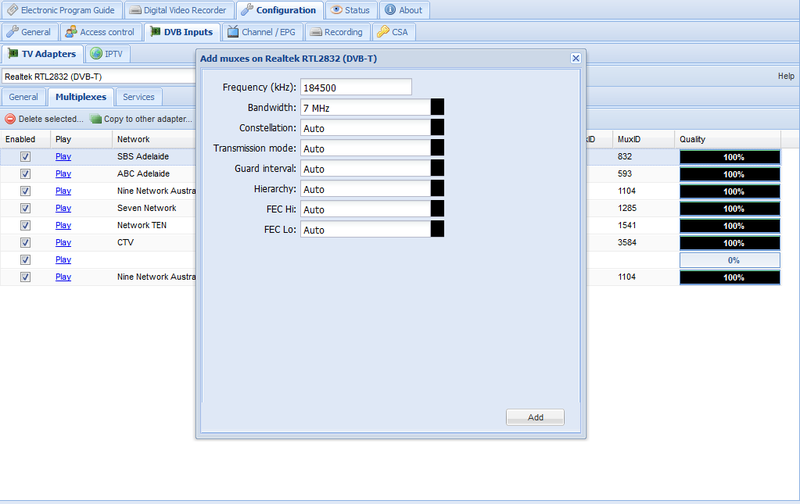 Just the centre frequency and bandwidth are required, everything else can be left on "Auto". After the MUX shows up in the list, press play and this will scan the MUX and auto-add channels. These channels however will be nameless and require "Map DVB services to channels" in the main page to be named properly. Afterwards the full channel list including SBS Adelaide looks something like below. From there it is just a matter of hooking it up to VLC or XBMC. 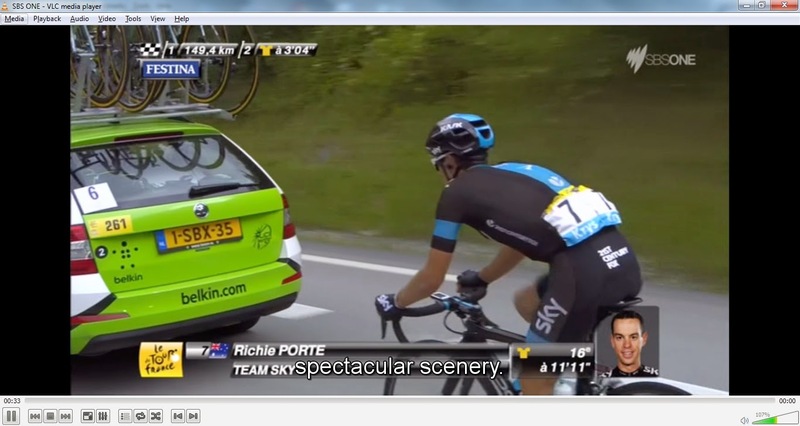 Happy Tour-de-France watching and recording ahead.